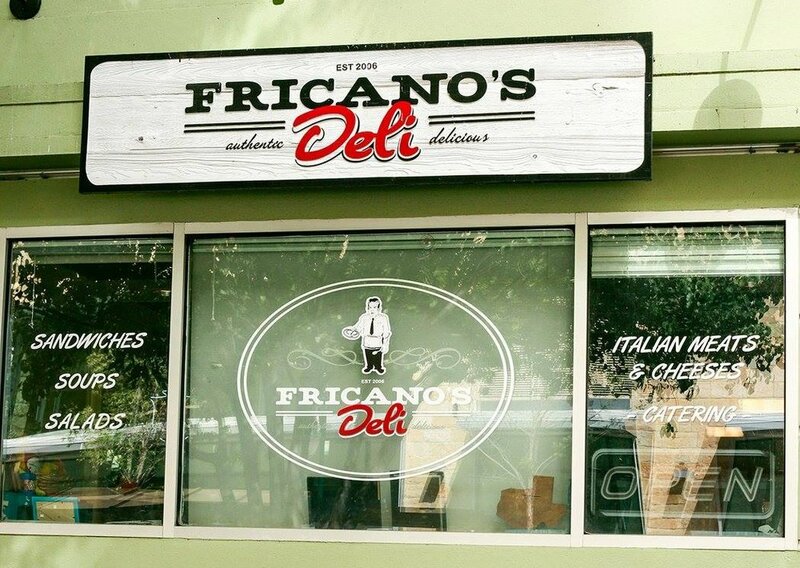 Located in West Campus, Fricano's Deli has been an Austin mainstay for over 10 years. 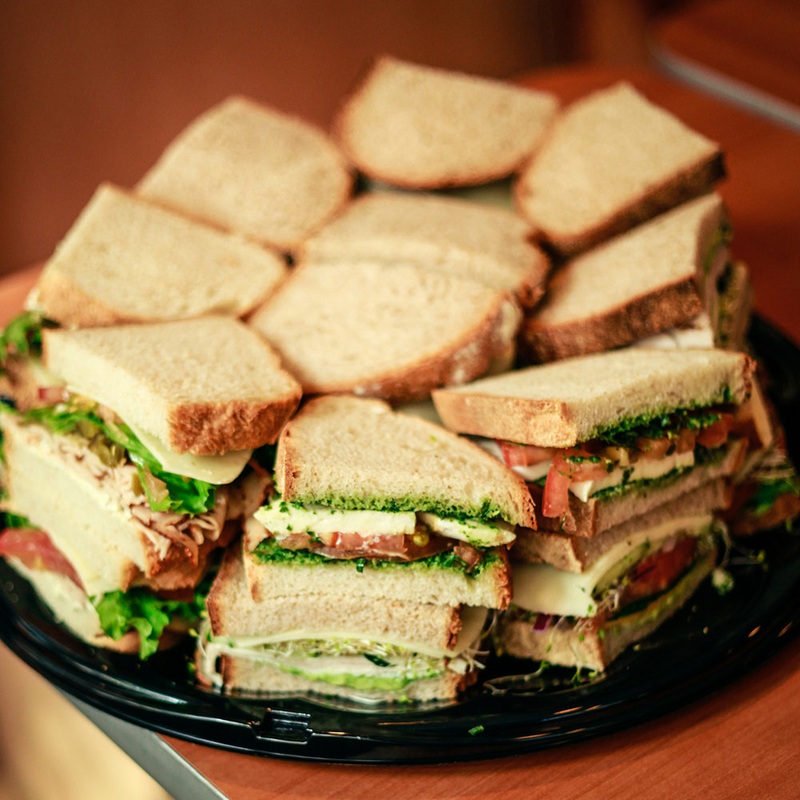 In August 2006, Paul Fricano opened Fricano's Deli with the idea of serving great sandwiches with an emphasis on serving the local community of North Campus & Hyde Park in Austin, TX. In 2008 DeeAnne Bullard and Jamil Muhaisen moved down from Brookyln to partner with Paul and expand the Menu and Catering offerings. Their reputation for fresh, quality food and fantastically friendly service spread quickly and by 2011 they had outgrown their small storefront and expanded to a bigger location in West Campus. The bigger location in West Campus still has the warm neighborhood feeling of the original spot (but with more places to sit)! We require 18-24 hours for all delivery orders. We are happy to work with you to build a custom order. Variations from the Catering Menu will be charged accordingly. We will supply plates, napkins, and utensils at no extra charge. A 10% Delivery Fee will be added to all deliveries. Extra delivery charges may apply if under $100, after 5pm and/or on weekends. Flat Leaf Spinach, Roasted Almonds, Dried Cranberries, Black Olives, Purple Onion & Feta Cheese. Served with DeeAnne's Dressing on the side. 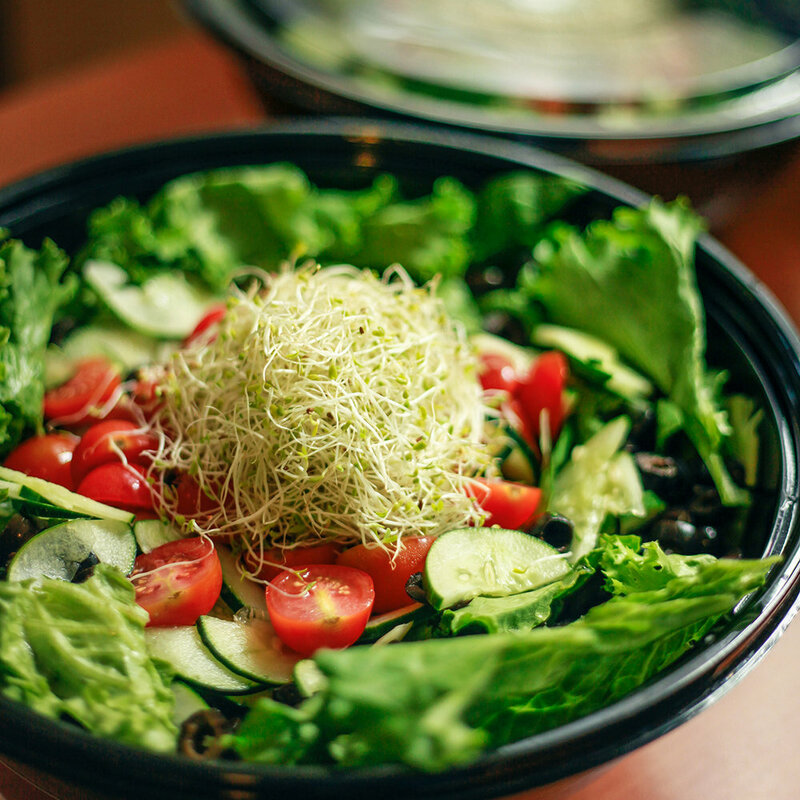 Mixed Greens, Cherry Tomatoes, Cucumber, Black Olives, Purple Onion, Sprouts. Served with DeeAnne's Dressing on the side. If so, please list class schedule below in Availability. Please list your availability and/or your unavailability as in your class schedule if you are a Student.